was born in 1926. He grew up in Ballinakill, East Galway in the heart of a locality steeped in the very best of old-style traditional music. 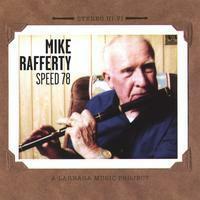 Mike is an outstanding exponent of the East Galway style of flute playing. He learned his music from his father, Tom “Barrel” who played flute and uilleann pipes. 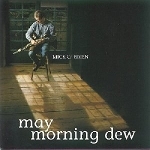 Mike emigrated to the United States in 1949 and appeared at an extensive array of concerts and festivals all over America including the Smithsonian Institution’s Bicentennial Festival of American Folklife in 1976 and toured with the Green Fields of America. 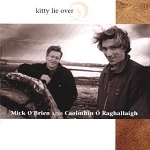 Mike appeared on many recordings and recorded three albums with his daughter Mary; "The Dangerous Reel", "Old Fireside Music" and "The Road from Ballinakill". In 2004, he released his solo CD "Speed 78". 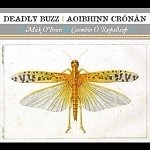 His last recording was with fiddler Willie Kelly and Dónal Clancy - "The New Broom". Mike devoted a lifetime to exploring, performing and teaching Traditional Irish music on both sides of the Atlantic. In 2010, Mike was awarded the National Heritage Award in Washington D.C. This is the highest award bestowed upon Folk Artists from the United States Government and he'll forever be considered a National Treasure. In 1993, a CCE Branch was formed and named after Mike. In May of 2011, Joe Madden, RIP, was added and the Branch is now called: Rafferty-Madden CCE Branch.